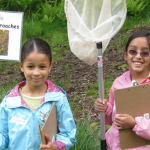 Oregon Watershed Enhancement Board (OWEB) is a state agency that provides grants to help Oregonians take care of local streams, rivers, wetlands, and natural areas. These are competitive grants which range in value starting at $15,000 and require 25% matching contribution. Contributions can be either in cash, in-kind such as labor, or a combination of both. The District has worked with landowners to implement a wide variety of projects to improve watershed health such as farm best management practices and wildlife habitat enhancements.